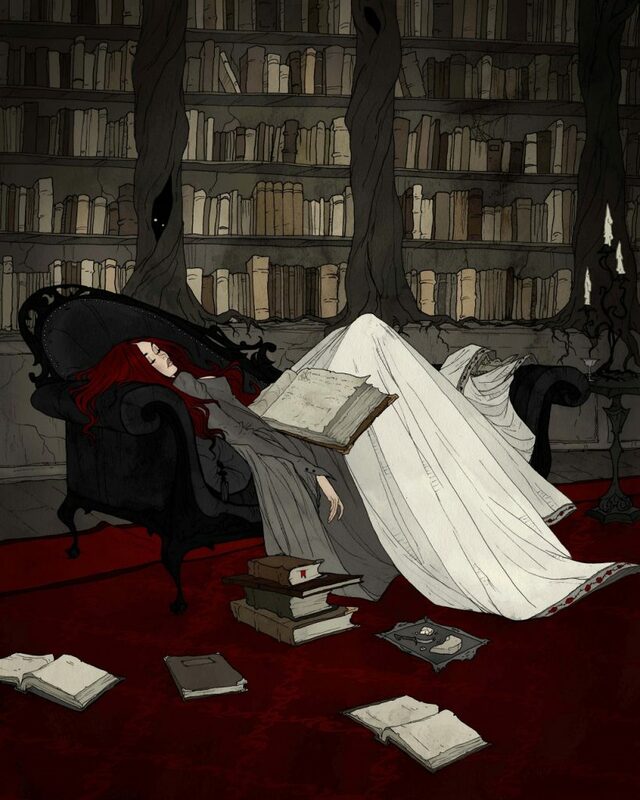 The work of illustrator and artist Abigail Larson is what you’d get if you mixed Neil Gaiman and Mary Shelley together with a mystical, wonderful paint brush. 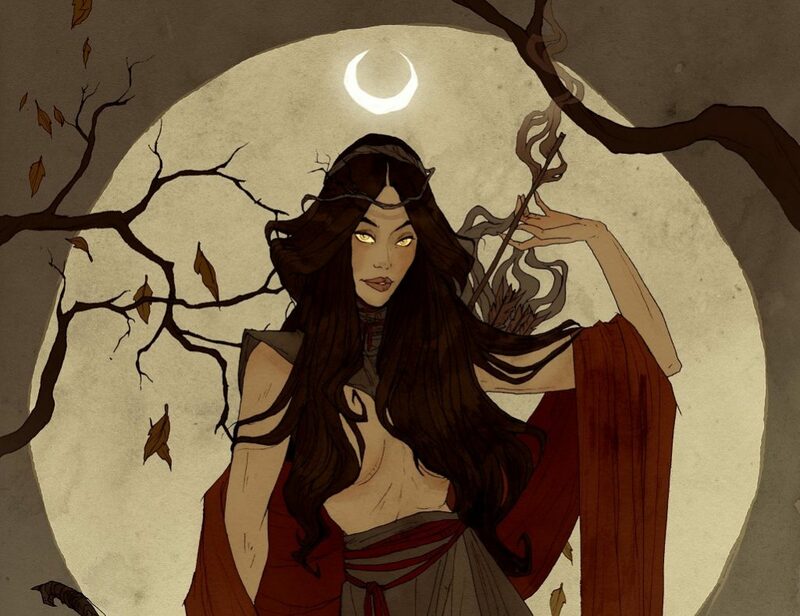 From paintings to comic book covers — and even a tarot deck, currently in the works — Larson has covered a variety of media with her beautiful, darkly-romantic style. The arts have been in Larson’s blood since she was a small child. Originally, she dreamt big plans of becoming a world-renowned opera singer or a member of a circus, but crippling stage fright thwarted those ideas before they could come to fruition. We may never know what Larson’s version of The Greatest Showman would have been, but today, she could draw or paint a version of it for us. She’s had a great deal of success since turning to a less anxiety-inducing medium — fine art. It took quite a long time before Larson started getting work, but she remained busy with competitions and joining gallery shows whenever able. Two of her first showings appropriately took place at a few of Richmond’s artistic landmarks: The Poe Museum and Gallery 5. It’s difficult to support yourself in the arts, and many artists fall victim to burnout and depression. Larson was no exception: looking back, she points to the strong storytelling aspect of illustration as one of the things that kept her motivated. 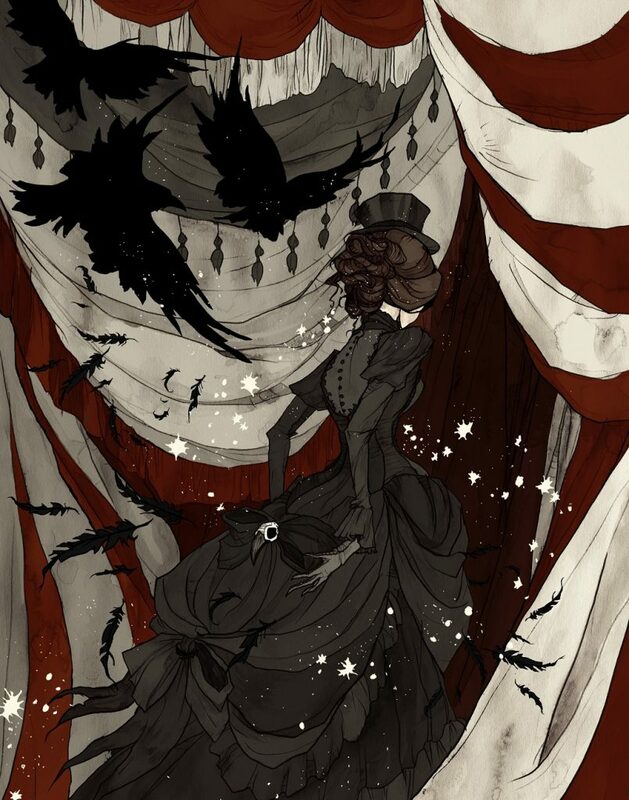 Larson’s style and aesthetic is very much reminiscent of romantic-Victorian (ultimately, gothic) styles. She has always been drawn to this approach, and its influence throughout her life has seeped deeply into her work. Even in her childhood, reading stories by authors like Mary Shelley, Edgar Allan Poe, and Charlotte Bronte, a macabre worldview has always attracted her, even if she isn’t sure why. Just one glance at Larson’s resume is sufficient to see that she stays busy. Her work is as extensive as it is diverse, and she keeps a full schedule of projects at all times. Because of this, Larson admits she’s turned down projects due to time constraints. It’s pure professionalism that motivates her at times like this; for her, turning down a project is a way to avoid biting off more than she can chew, so to speak. That way, she can maintain focus on the project at hand. However, there is one dream collaboration she’d probably make time for. Ask any artist what their favorite project of all time is, and they will probably tell you “the one I just did.” Larson is no different. Naturally, a unique tarot deck falls right into Larson’s wheelhouse. Another very apropos recent project of hers was to illustrate a story by pioneering-horror author H.P. Lovecraft. 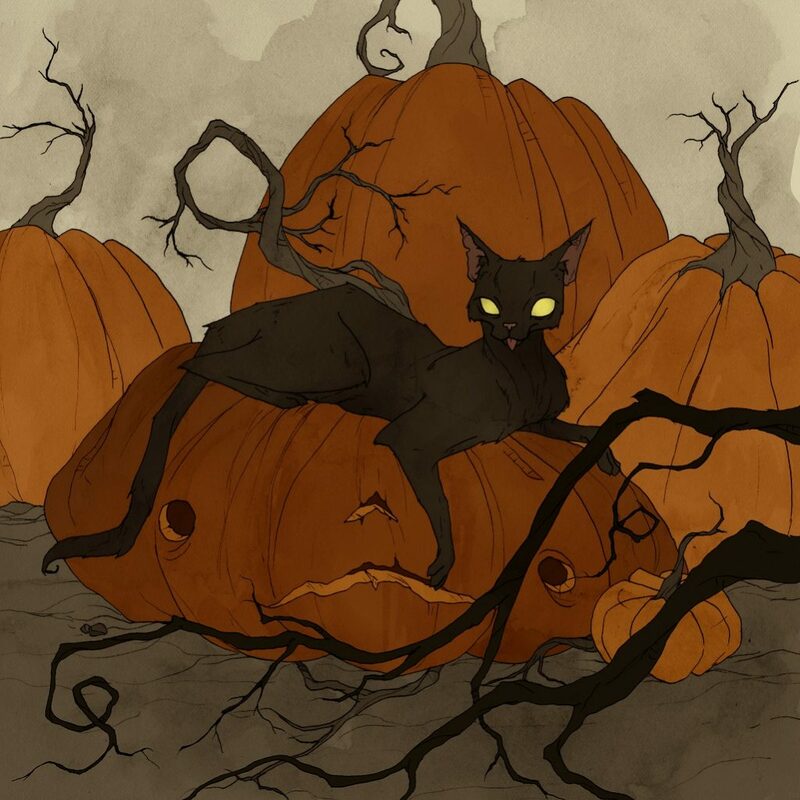 In 2016, Larson’s literary agent helped her pitch the project of a lifetime: creating an illustrated edition of Lovecraft’s The Cats of Ulthar. 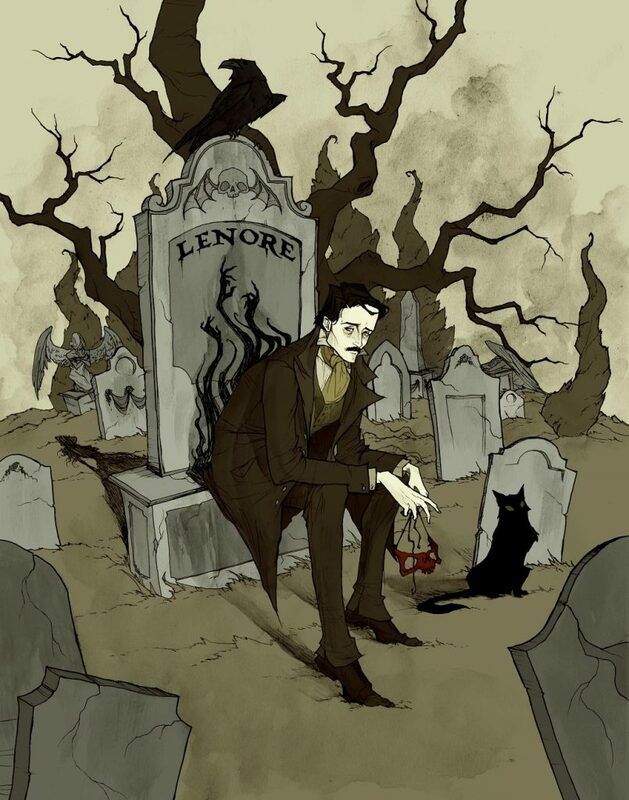 The resulting hardcover book was widely-acclaimed by fans of Larson and Lovecraft alike. “It was a pretty fast-paced project, but the publisher was incredible to work with, and it was a lot of fun,” she said. This, of course, begs a question: can fans expect to see an original comic series of her own in the future? Just maybe? Larson originally came to Richmond for the acclaimed VCU art school; specifically, for their illustration program, which was recommended by several alumni she knew. Despite her confidence in her drawing abilities, she felt the university experience would help her evolve — not only in her skills, but in her sensibilities as an artist — in ways that working on her own couldn’t. She added that one of her first official gigs when she lived in Richmond was for the city’s Zombie Walk, designing their posters. Since graduating with her Bachelor of Fine Arts at VCU, Larson has relocated to Italy, where she now lives with her husband; and even though she’s far from the city, she still designs work for Richmond’s beloved annual event. Larson is open about the fact that she looks to many people for inspiration in her work. 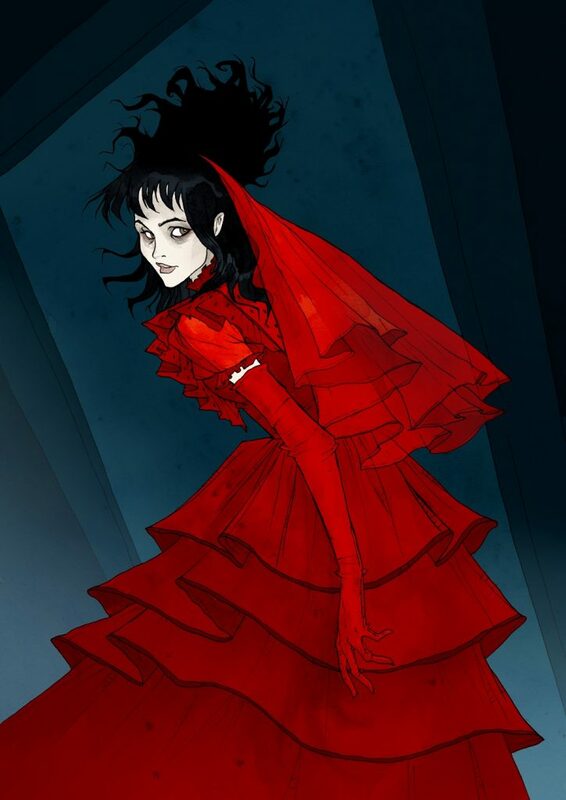 From various artists she follows on social media to the prince of horror himself, Mr. Vincent Price, she keeps her list of inspirations endless. But just like anyone else, Larson occasionally hits a creative roadblock. Her biggest tip for other artists, though, is just to take a step back. When you’re a creative person of any kind — whether in visual art, writing, theater, photography, or any other artistic discipline — the hardest part of the game is always the same: finding a way to sustain yourself solely through your work. It’s an arduous process that takes a long time and a lot of work… and that’s if it ever happens for you at all. For Larson, it was no different. 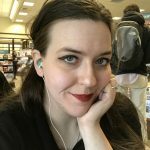 Among the jobs she held while perfecting her art, she lists working retail in a lingerie store, and teaching children’s art classes (all while freelancing in her spare time, making sure the bills were paid). No matter how difficult the path she walked, though, Larson never gave up. She advises today’s struggling artists not to get discouraged if they don’t land the job they want right away. Even in her position today, as a successful artist self-supported with her work, Larson admits that there are still challenges. Despite moving on to live an ocean away, Larson’s time in the River City stays with her — and she maintains that it still influences her. Even if it’s just a small detail hidden in the background, the city is still present in her work.